Simply defined, trust is the belief that someone or something is reliable, honest, and effective. We tend to throw the word around, but what is the true foundation of trust? We are told to trust others, but how do we go about it, and how do we rebuild when trust is broken? How can we trust our co-workers when we are all so different, and have endured our own personal and workplace battles? Our differences can completely change our views on trust. We are similar in that we have all experienced situations that have affected trust in a relationship. We can’t help but remember the rainy days of our past, thus carrying them into our new conditions. Sometimes, even when the sun is out, we are on standby waiting for the storms. Many call it baggage, I like to call it an opportunity for growth. How we go about trusting others is a direct reflection of the trust we have within ourselves. If you do not trust your own judgments, actions, and decisions, you will question the motives of others. Trust can only happen when we are willing to be completely open with each other and ourselves. Trust has two different aspects: Predictive vs. Vulnerability-based. In his book The Five Dysfunctions of a Team, Patrick Lencioni speaks of predictive vs. vulnerability based trust. Predictive trust comes naturally with time. It says that you and I have worked together long enough or have known each other for a certain amount of time that unsurprisingly we have predictive trust in each other. If I say this, more than likely you will do that. This type of trust which stems from consistent observation is great, but it’s not the kind of trust that builds a great team. Lean how to trust though The Five Behaviors of a Cohesive Team. Vulnerability based trust, as defined by Lencioni, is “the willingness of people on a team to be vulnerable and human with one another.” When a co-worker says “I don’t know the answer to this,” or “I’ve made a mistake,” or “I’m sorry for what I said to you yesterday, it was uncalled for,” you are experiencing true vulnerability based trust. You should handle these interactions with respect and great care. When you can be completely honest with your colleagues and the team knows that everyone is capable of this, incredible things happen. The team comes together in all their vulnerabilities to work as a unit and turn those weaknesses into strengths. 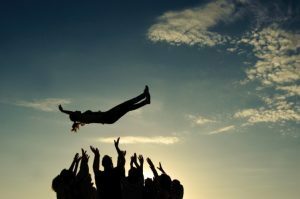 Vulnerability based trust takes teams to higher levels of greatness, allowing you to gain a true competitive advantage. I know, trusting someone in such a vulnerable way seems easier said than done. Just remember there is power in reaching that place where there is true confidence among team members that their peers’ intentions are good. When you know there is no reason to be protective or cautious around each other, something miraculous happens. Take a moment to imagine a work environment with complete trust in each other. It’s possible. Getting comfortable with being transparent and open isn’t as far-fetched as you may think. Team development programs like The Five Behaviors of a Cohesive Team will give your team profound insights into themselves and their colleagues. Learn how to build a great team with the important foundation of trust and understanding. Learn more about The Five Behaviors of a Cohesive Team. Visit our Facebook page to learn more about The Five Behaviors of a Cohesive Team. The impact of technology on modern life is difficult to measure. The days of cell phones the size of a 2-liter soda bottle are long gone. We have since grown, not only in technology, but also in our everyday lives. The uses for our cell phones have developed to the point where many people feel lost without them. Life just seems easier when we have our trusted device by our side, and in this case, life just became that much sweeter! Your trusted and true EPIC Accounts desktop version has now gone mobile! 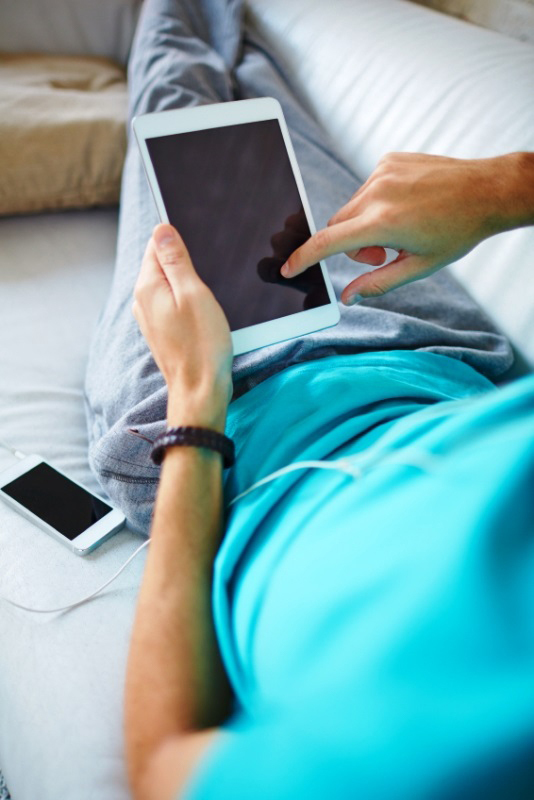 In just a few short months, the EPIC sites used for administering DiSC®, Everything DiSC® and several other products will become more mobile friendly. For those of you who are unfamiliar, EPIC is an online administrative account used to distribute profiles and retrieve reports. EPIC does much more but its features are beyond the scope of this post. Learn more about EPIC on our EPIC Accounts Page. I digress. When you or your employees take an online assessment you will notice a cleaner, more stylish look fully accessible on computers, tablets and cell phones! The first product to be launched will be Everything DiSC Management. As each new Everything DiSC or Five Behaviors of a Cohesive Team EPIC respondent site is launched, it will be announced on EPIC account home pages which are displayed when administrators login to their account. I bet you want to know what this means to you? You will now be able to handle all of your EPIC business on the go. Whether you’re enjoying your kid’s events, a date night, or simply in bed and just don’t feel like getting up to get on your desktop computer; don’t worry, EPIC will be available to you with the click of a finger. All you need is a smart device and an EPIC account. Lately I’ve seen a lot of press regarding free learning resources available on the web. I’ve been quite impressed so I thought I’d share two of my favorites. iTunes U has been around for a while but I’m constantly amazed at the number of people who have never heard of it. My passion is courses related to technology but iTunes U offers a variety of courses covering everything from auto repair to finance. The five or six courses I’ve had the pleasure to review all contain great content. Some courses have audio, some have video and some are text based PowerPoint presentation. Several of the courses are semester long programs and a lot of them contain links to lecture notes, assignments and additional resources. It really is a wonderful resource for people who enjoy the pursuit of life-long learning. iTunes U offers courses from top-notch universities including Stanford and Harvard. Did you ever think you would be able to take a course from Harvard? I certainly didn’t. While you can’t earn a degree with iTunes U you can learn subjects that interest you from some of the best professors in the world. If you’re tired of free 1-hour webinars and if you’re interested in high-quality courses from world-class professors, I highly recommend spending some time on iTunes U. You can access these free training courses using an iPhone, an iPad, through iTunes (free download) or on an Apple TV in combination with iTunes. Now this one blew me away when I saw the original press release. Harvard and the Massachusetts Institute of Technology are partnering to offer free online courses to anyone in the world. That’s right, anyone! Again, at this time you cannot earn a degree through this program but if you’re interested in learning from the best professors in the world, this is definitely worth looking into. A few months ago M.I.T. released MIT OpenCourseware which provided access to a variety of online course materials for the actual courses presented to MIT students. While this is excellent content, I’ve found that some of the links to the supporting materials are broken or missing. You can still access high level educational content but it takes a little more work than using something like iTunes U. Yesterday I stumbled across a blog post on CNN which discusses free online courses offered by Harvard and MIT. Harvard and M.I.T. each committed $30 million to form a partnership where both universities will provide free courses online. It’s scheduled to be released in the fall and I’m anxious to see what they have to offer. The eLearning world is changing and it appears to be changing for the better.